You probably sleep on a pillow that’s old, dirty, and gross. Even if it’s new, it’s probably not comfortable. 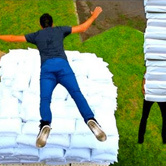 These bad pillows aren’t letting you get the sleep you need, and we’re sick of people spending their hard earned money on bad pillows that aren’t worth a dime. That’s why we launched the Great American Bad Pillow Project. Read the articles below to learn what makes a good pillow, how to choose a new one, and how to take care of the one you have. 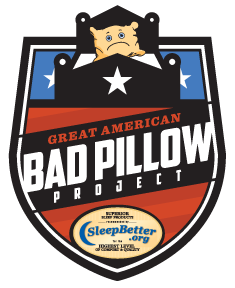 Then, enter the Great American Bad Pillow Project Contest for a chance to win one of three bedding makeovers!